If you’re lucky enough to work in Wellington Place then Sociable Folk has probably already been your go to coffee hit for some time. An upcoming area that is undergoing vast (and quick) development it is forming in to quite the forward thinking business district. By this I refer to the grassed areas, deck chairs, the outside seating, the community services, yoga, knitting club and much more. If I was going to set up a business or move my business this would be one of the prime areas I’d look at. 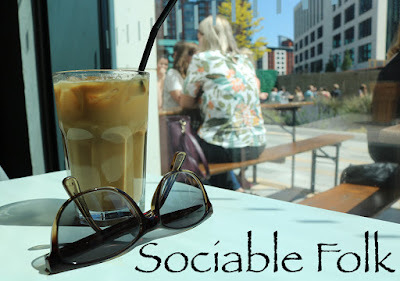 Sociable Folk is a coffee house come café and is currently only open Monday to Friday, unfortunately weekenders haven’t yet found a reason to visit Wellington Place but once they do I expect it will be a nice place for a pre-town pit stop especially if you’re a resident of City Island. This months’ rotation in Trinity Kitchen has to be one of their best line ups yet. Of course this is just my opinion and there are many of my favourites which are not present but there isn’t one place that I would shy away from or not be tempted by in this line up. So what have you got to look forward to this time? Birkenshaw. 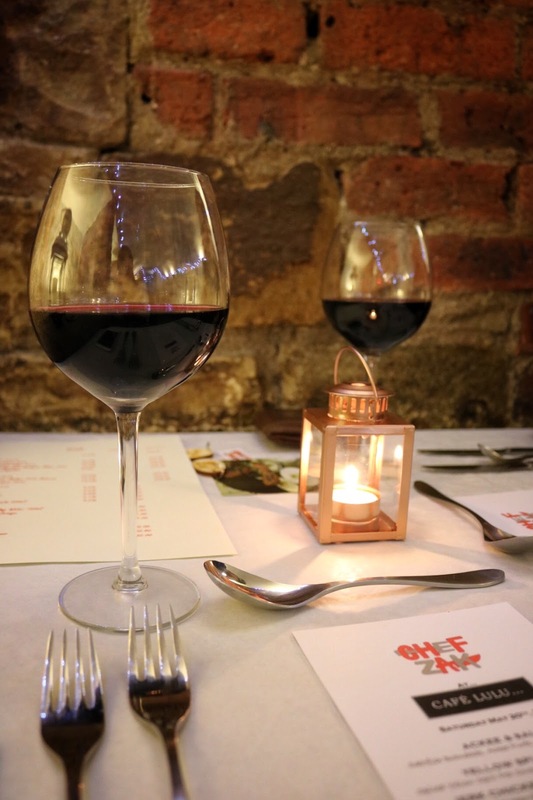 It’s not exactly the place I would associate with gourmet supper clubs and taster menus but last Saturday evening that is where I found myself. In Birkenshaw, in a small café that was open after hours specifically for a guest chef to come in and serve a gourmet six course Caribbean themed taster menu. The café in question is Café Lulu, a breakfast and lunch place for locals that are housed in the basement underneath an Indian restaurant. 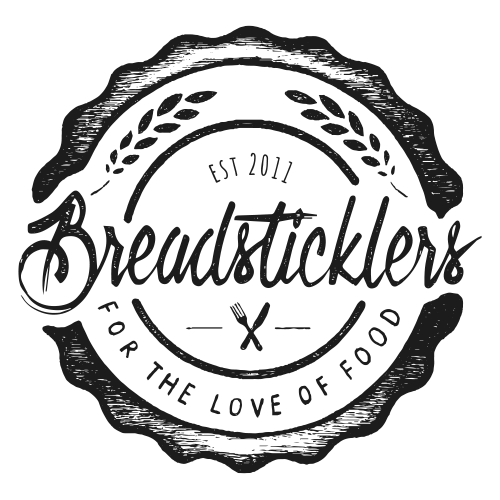 It doesn’t exactly scream gourmet dining experience but I’m interested in unique and different experiences. When we arrived I was and stepped in to their basement and was pleasantly surprised. What greeted me was a very romantic setting of vaulted ceilings, exposed brick, twinkling lights and candle light. Never judge a book by its cover and all that. I worked out the other day that I haven’t been to Jamie’s Italian for around 7 years. Those 7 years have flown by as I recall when it first opened, the long queues that went down the side of the building on Park Row for people to get in and the hubbub around it opening. It seems a lifetime away and I doubt that a Jamie’s Italian would cause the same excitement 7 years on. So why was it so popular back then? 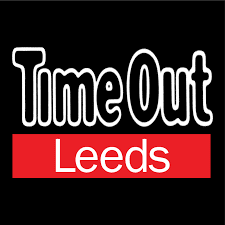 Was Jamie Oliver at the height of his popularity or was there just not that many exciting food places to go in Leeds? I don’t recall Carluccio’s getting the same treatment when they opened on Greek Street (recently closed). Whatever the reason Jamie’s is still popular with Leeds Folk, perhaps not queueing down Park Row popular but popular enough that you need to book a table on a Friday night or face waiting in the bar for a little while. Although Jamie’s remains a Firm favourite with weekenders Jamie’s is trying to bring in the mid-weekers with their launch of the new Super Lunch Menu. If you’re on a working lunch you want something speedy, not too heavy and not too pricey. Jamie’s offers 2 courses for £11.95 and three for £13.95, which incidentally is the same deal as Bill’s. So if you fancy something a little lighter (as Bill’s lay on the calories in most of their dishes) or perhaps something a bit more culinary specific i.e. Italian then Jamie’s is a good alternative. Sheffield is often a city that is overlooked, I feel. It’s strong industrial (steel) heritage has shaped it and nurtured it in to the city it is today but if you’re not from(or live in/near) Sheffield would you choose to go out of your way to eat or drink here? Speaking to a few friends and colleagues alike they would say no, what does Sheffield have to offer? A few see Sheffield as a student town and with two universities it certainly does have a healthy student population. A few years ago (again my thoughts) Sheffield city centre went through a period of neglect after Meadowhall was built and all focus and footfall was redirected that way. When I was deciding on which university to go, I visited Sheffield and found the city centre very quiet and not a lot of buzz around it, my other comparison being Manchester however. 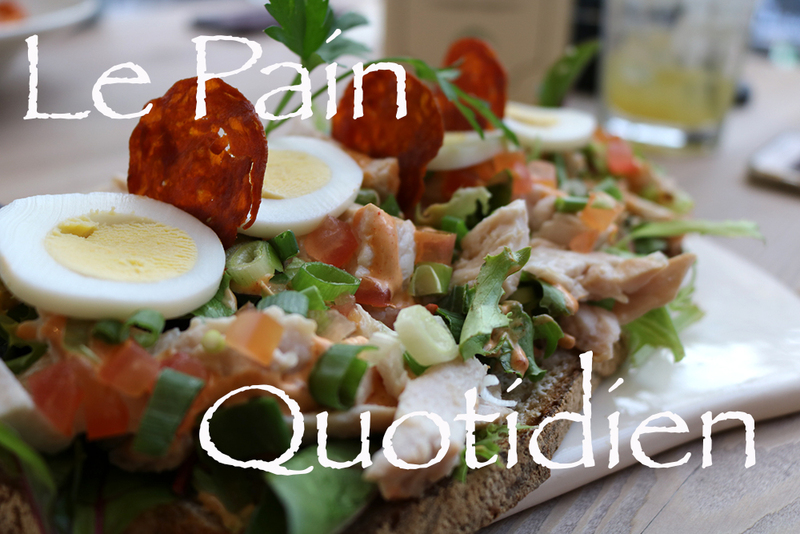 Le Pain Quotidien has restaurants all round the world and in England they have a few restaurants down south. I would deem them fairly well established but they didn’t come to my attention until they landed in Leeds, more specifically Victoria Gate. Le Pain Quotidien, or 'the daily bread' in English is a Belgian restaurant built on the foundations of a good bakery and serves only organic produce. In Victoria Gate the bakery sits on the ground floor with the restaurant above, for those unaware of its existence I can see how it would be very easy to skip by not realising that upstairs is a beautiful light dining room which is a perfect place to enjoy, breakfast, brunch, lunch, dinner or possibly a couple glasses of (organic) wine and a charcuterie board. I urge you to not just skip it by. 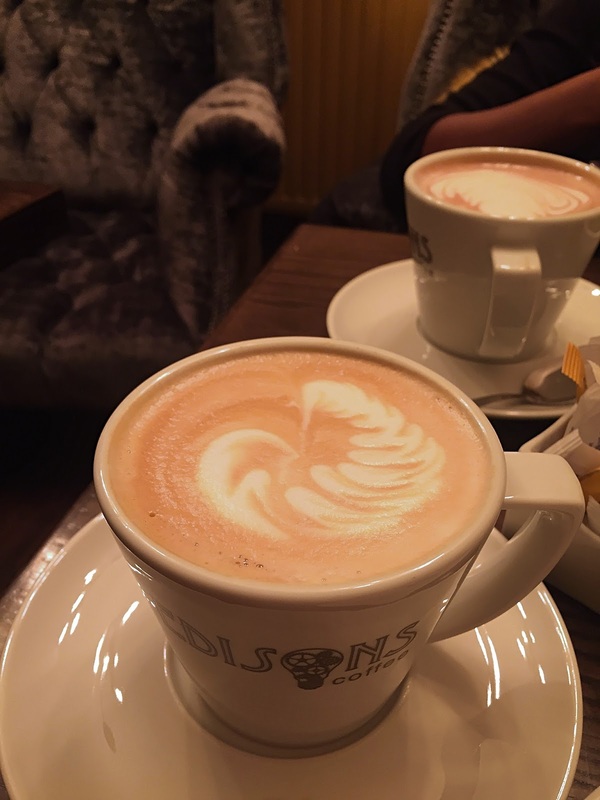 Le Pain Quotidien is well worth a stop and a look in, let them tempt you upstairs, take a few minutes or hours out of your day to relax and unwind in their charmingly decorated rooms with antique mirrors, ornate flooring and balconies. I’ve been to Opposite Café on multiple occasions but never got round to actually blogging about it, which is a massive error on my part because they are wonderful. This post in turn is not about a single experience here but instead a collection of my experiences here. Yo! Sushi isn't just about raw fish wrapped in rice and seaweed, if you had asked me a few years ago I would have thought it was. Others still think it is. So what else does Yo! Sushi have to offer? Firstly there are plenty of vegetarian options, in the traditional sushi sense i.e. pieces of vegetable wrapped in rice and seaweed and in small hot dishes such as noodles. Not only are there hot small vegetarian dishes but there are also meat and fish dishes that come hot too, such as tempura prawns, yaki soba and chicken katsu curry. On top of all this you can get larger bowls of ramen and bento boxes for lunch. I wrote about Yo! 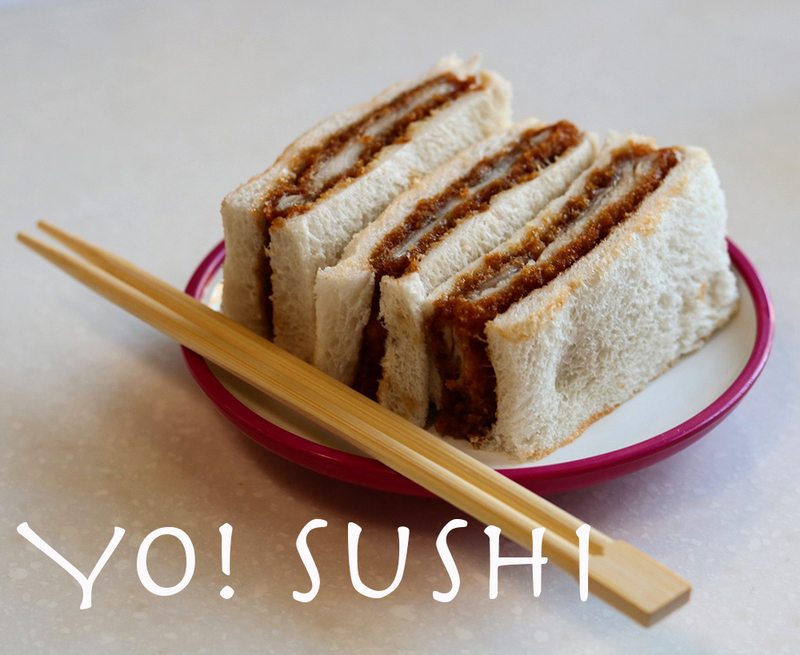 Sushi when it first opened in Trinity Leeds, it was my first experience of Yo! Sushi but it wasn't my last. As with most chain restaurants I had found myself in a rut, I knew what I liked and so I kept ordering the same time and time again. When Yo! Sushi invited me to come and try out their new menu it felt like a good opportunity to try and get me out my rut.